Another chapter in the book of our life is almost finished; a new one is about to be written. One season of our lives is slowly coming to an end; a new one is about to begin. The sun is setting on one day and will rise on the new day. All metaphors that speak of life’s many changes. Our ministry and life in the Bahamas is about to come to an end (we leave September 5th), and it is bittersweet for us. We are sad to be leaving our beautiful host country yet excited to be going back to our passport country. We are saddened at the prospect of leaving our dear friends/church family/ministry family here in the Bahamas, yet excited about reuniting with family and friends and meeting/making new friendships in the place(s) God directs us to next. We are sad about this being our last week getting to serve mission teams (only local groups left between now and the end of August when we leave), yet excited about the anticipation of seeing how God uses what we have learned here in the next “mission” he has for us. Please pray for us this last month as we finish purging/packing/cleaning, train/pass-on our knowledge, experience a lot of painful good-byes, process through what we have experienced, and logistically manage everything that goes along with an international move. We know our frame and that we are dependent on God for the grace and strength to finish, endure, move-on. To all that have supported us throughout the years financially, we want to express our deepest heartfelt gratitude. You have partnered with us in this mission, and we thank you and pray God’s blessings on you for your generosity and sacrifice. Going forward…Moving expenses and living expenses for us will continue for several months after we return. Due to “re-entry” issues/debriefing, pre-planned vacation/wedding/family reunion travel, and a need for rest/evaluation/reflection time, we will not be seeking gainful employment right away. 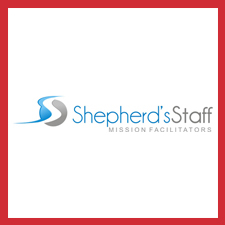 Shepherd’s Staff Mission Facilitators (our mission organization that collects funds for us), will be receiving funds on our behalf until November 30, 2018. This will provide for our basic needs until the end of the year. These donations are tax deductible and can be submitted at this link: SHEPHERD’S STAFF DONATION LINK. Camp ministry is busy work. We could not do it alone. This month we were blessed with the culinary skills of Shontae and Vonette. Francina (right) has been helping us with housekeeping and laundry. We appreciate the hard work of these ladies and have enjoyed getting to know them. They are part of the transition team that will be helping to run camp when we leave. June 30-July6, 2018: Grace Fellowship from Alabama was one of the 3 groups led by John and Karen Stodghill (center) this summer. We were not on the island when this team was here, but we heard great things about this group. They served at CW Sawyer primary school with the Stodghill’s church as they conducted VBS programs. The Stodghills are missionary friends of ours that live here in Nassau and are part of the new PCA church plant. July 9-15, 2018: Coast Hills Church youth group from Aliso Viejo, California were here for their first mission trip. They helped at the ALCentre’s Day Camp. Chet and Andrea Lowe were back on island with their church youth group (Coast Hills, see above) mission team. Chet was executive director of ALC&C until mid 2014. It was great seeing these two again. They were a huge source of encouragement. July 14-21, 2018: Valley Presbyterian Church from Alabama are another group led by John and Karen Stodghill. Like the previous group, they helped with their church’s VBS held at CW Sawyer primary school. Good-bye to the Loge family! What a great summer with this family again. They were a huge blessing and encouragement to us and the entire ministry. We are blessed that they live only a couple miles from Tim’s parents in Shoreview, MN, so Lord willing we will be seeing them again. July 14-22, 2018: E-team (Lancaster, PA, Maryland and Virginia) 9 days with this group is never enough! The E-team is unique in that we have a double connection with them. They come and stay with us here at ALCamp, but they also serve with our church, Kingdom Life Church. The team members are from 3 different Sovereign Grace Ministry churches, and they come to volunteer at our church’s annual Music Camp. The music camp is a ministry outreach of our church and is offered free of charge to children in Nassau. July 17-23, 2018 Denise Young (right) came back to Nassau for a second time this year to be an encouragement and help at Camp. She is a dear friend of ours and we enjoyed having her here. July 21-28, 2018: River Oaks Church from Memphis, TN is another group led by John and Karen Stodghill. They too helped with the VBS at CW Sawyer. July 21-28, 2018: First Congregational Church from Hamilton, Massachusetts under the leadership of Chelsea Kingston Ericson came for their 3rd year. Chelsea has been bringing groups here for 10 years, and so she pre-dates us here at ALCamp. We have had a great working relationship with her from our very first year and appreciate her heart for missions and her students. We are sad that this is our last year with her. Although FCCH and River Oaks are our last mission teams that we will be serving in the Bahamas, we still have 2 local groups left to serve. The first group is a group of 100 that will be here July 28-August 5 for a kids camp. The second group is with us the last weekend we are at Camp in late August. It is sad for us to be saying good-bye to the part of the ministry we love the most: serving and investing in lives for the Kingdom of God. Those of us who have put our trust in Jesus (as divine redeemer of from our sinful depraved condition that we are born with) are related to one another. That relation we have with one another transcends geography, race, cultures, and any man limitation out there and brings us together like no other relationship can. It provides us with the ability to come together with one purpose as brothers and sisters. One of the most beautiful nights of this summer happened a week ago Tuesday. Two mission teams were at Camp. One wanted to go see a sunset on Jaws Beach. They invited the other team which immediately liked the idea. So we loaded the bus up (the 2 teams and all the ALC&C on site staff) and headed to catch a sunset on the beach. As if the mere thought of all of us coming together from different parts of the country/world and enjoying an evening out was not awesome enough, we got to experience a beautiful sunset together, watch the young people in the group kick around a soccer ball in the sand, and worship together in song at water’s edge. Wow! Wish you could have been there. Just a taste of what heaven is going to be like! Thank you, God, for life’s blessed times together as a family! Unfortunately for those of you who rely on our updates to receive an update on how Aaron is doing and what he has been working on, we do not have much knowledge of that right now. It has been sad for us these last couple of months as we have not had a lot of contact with Aaron. He has not been with us here at Camp due to restructuring that has pulled him to the Centre to work. Between his absence from Camp and our busyness here at Camp, we don’t know much of what he has been doing. We do know he puts in a lot of hours over there. He will have to update you on what he is doing. 6 weeks of Day Camp at Adventure Learning Centre finished this week. We were able to pop into the Centre briefly several times throughout the summer, and it appeared to us that the children were enjoying themselves. We pray that lives were impacted for the Kingdom! The staff bathroom and barn apartment are among the renovation projects that have been completed in the last several months. Signs around the Centre is another project that has been invested in. We now have another member in our family. Our third son Logan married Anna Heinrich on July 7, 2018 in Minnesota. We are happy for them and pray God blesses their marriage. They currently reside in Minneapolis, MN. Congratulations Logan and Anna! Now back to our busy summer schedule…Have a great rest of your summer. By seeleyfamily87 in Uncategorized on July 27, 2018 . Our ministry is solely funded by the generous support of our ministry partners. Thank you and God bless you for your willingness to partner with us!